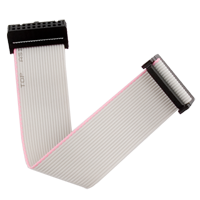 Flat tape 20 pin for JRT/ORT/RIFF it's connection flat tape to connect JTAG adapters with JRT SMTI adapter, Riff Box or Omnia Repair Tool. Compatibile: Omnia Repair Tool (ORT), Riff JTAG, GPG JTAG PRO, Easy Z3x JTAG, GPG eMMC. Power supply cable for Riff JTAG allows you to power your phones usign Riff Box witthou need to use external power supply. 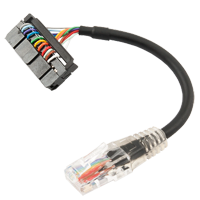 Just connect RJ45 into Riff socket and you ready to go. 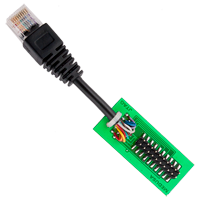 Adapter for ATF 20PIN JTAG JIGS - RJ45 is used to allow connection og JTAG JIGSequipped with 20 pin connector to ATF Box. 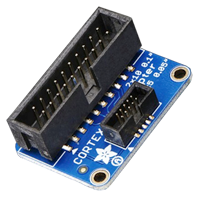 Adapter Flat 20 - JIG JTAG for Medusa Boxit's small adapter that allows you to connect all JIG from our offer to your Medusa Box. 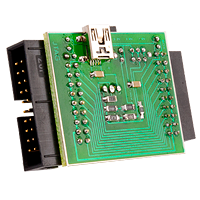 From now one you dont need to solder anything to PCB - just purchase adaper and desired JIG and you are ready to start. 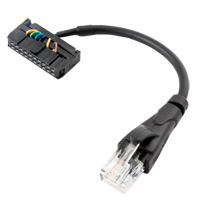 Adapter for Medusa/Octoplus 20PIN-RJ48 used to connect the JTAG equipped with vref and 20 pin connector. Adapter JTAG to SWD model Adafruit 2094 - JTAG (2x10 2.54mm) to SWD (2x5 1.27mm). 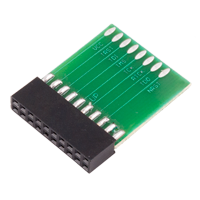 Adapter JTAG VREF Multi-COM it's universal JTAG adapter that emulate Vref for devices that require it (for exampel ORT - called Omnia Repair Tool). 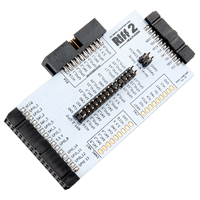 TO this moment each user of ORT must find on PCB Vref pin which are neccesary - by usign this adapter it musn't. Adapter will gives correct voltage depends on IC core - 1,8V for OMAP, 2,6V for Qualcomm and 3,3V for PXA (intelScale). 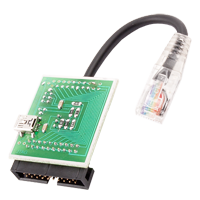 Adapter JTAG VREF Multi-COM for Medusa/Octoplus it's universal JTAG adapter that emulate Vref for Medusa/Octoplus. 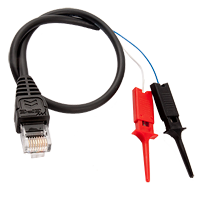 To this moment each user of Medusa/Octoplus must find on PCB Vref pin which are neccesary - by usign this adapter it musn't. Adapter will gives correct voltage depends on IC core - 1,8V for OMAP, 2,6V for Qualcomm and 3,3V for PXA (intelScale). 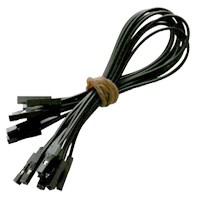 Black F-F cables 25 cm to the contact plate - 10 pcs is a set of black wires F-F ideally suited for making connections between the contact plates and sets of commissioning. 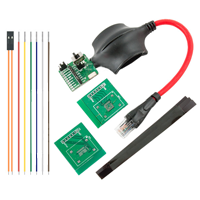 Wires can be easily separated from each other - great to use with JTAG/eMMC connections. 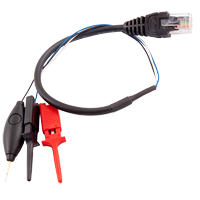 Cable Lumia Test-Point for ATF it's special cable used for unlock and repair death Nokia Lumia 610, 610C, 710, 800, 800C, 900 dedicated for ATF users. Allows to repair DEAD BOOT Lumia 800,710 phones killed by Windows "Format Disk", Direct Write of SEC_BOOT, OSBL, QBOOT and AMSS images, Write of QUALCOMM Unlocked OSBL to Lumia 800 and much more. 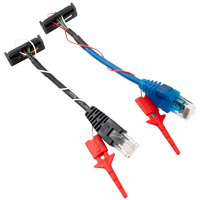 Dual JTAG Cable set for ATF Metal/Gold is a set of cables 8 and 10 pin for boxes ATF Metal and Gold allows you to operate on mobile via JTAG two phones at the same time . Cable 8 pin schould be connected to the socket FlashBus and 10 pin cable to the EXTENSION socket . 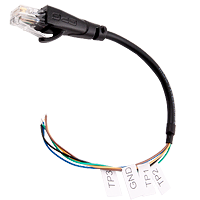 Cable includes VBATT 4.0V output so you don't need external power supply for phone powering from DC power supply.